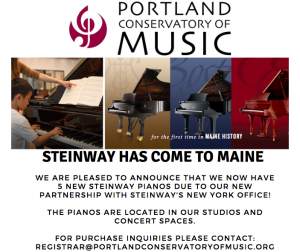 In addition to private music lessons for all ages, Portland Conservatory of Music offers an exciting array of group classes, vocal and chamber ensembles. 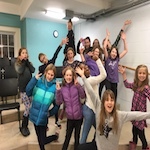 Many of our group classes, including our youth vocal ensembles, have rolling admission so you can join any time. We offer private lessons in over 30 different instruments and welcome students of all ages and abilities, so contact us today to get started! Fill out our New Student Availability form to be paired with an instructor. If you’re ready to sign up, just fill out our 2018/19 Registration Form and either drop off the form at the Conservatory or submit via email. Call 775-3356 to register by phone. 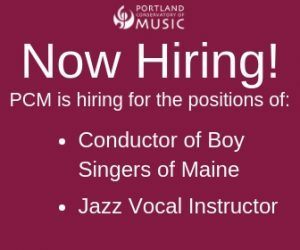 Learn from some of the top music educators in the area and expand your musical horizons at PCM. 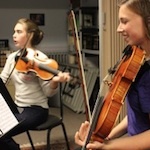 A college prep and theory program for gifted musicians, Karger gives young performers a head start in their college career. 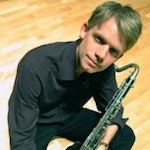 The Jazz Studies Program at PCM is an innovative program led by saxophonist and composer Titus Abbott. Want to learn with others in your community? 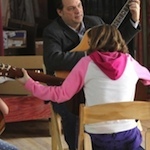 Our group music classes may be the perfect way for you to indulge your creative interests. 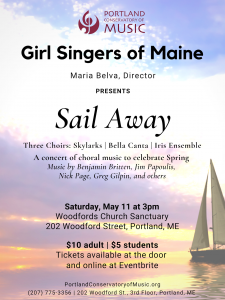 PCM is proud to host both the Girl Singers of Maine and the Boy Singers of Maine choral groups. Both choirs offer opportunities for children of all ages! 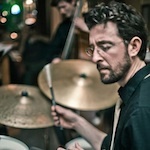 For twenty-two years, PCM has been hosting free concerts in downtown Portland. Join us Thursdays at 12:15pm at First Parish. 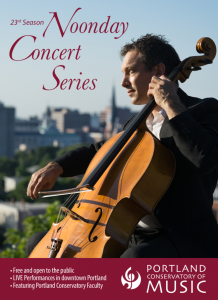 Check out all kinds of great jazz artists and groups throughout the year in our “Dimensions in Jazz” concert series. 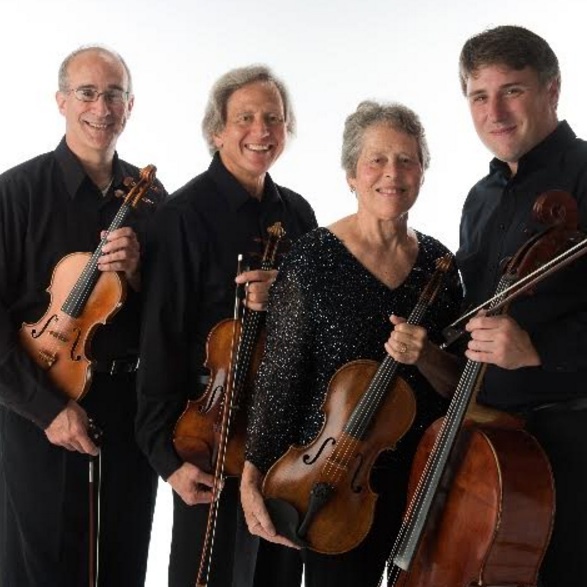 Every fall, PCM hosts the Early Music Festival, which will be going on its seventh year in 2018. 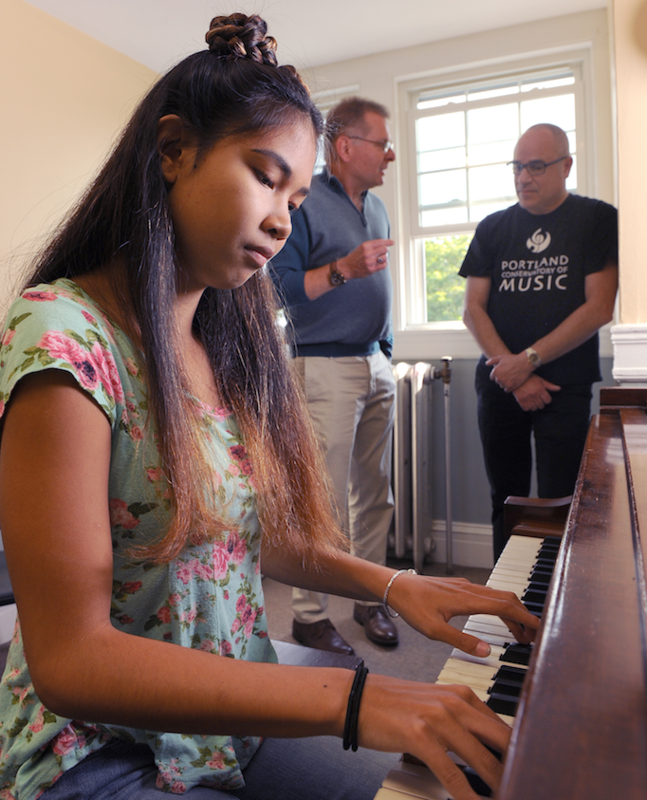 The Portland Conservatory of Music is proud to be celebrating 23 years as a nonprofit community music school. 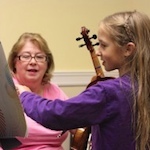 We educate through both musical instruction and concert performances. 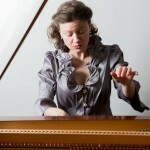 By supporting PCM you are helping to bring high quality music education within everyone's reach.